On the 30th of January, the Sapporo group already had to leave to Tokyo in case of common snow storms. Our flight was 10am in the morning. In the morning we first brought Keito to school. I gave her a hug, she immediately ran away, probably crying because she didn’t want me to leave. We were expected to be at the airtport at 9am, but because we first went to school we had to hurry to be on time. When we arrived at the airport everyone of AFS and Kanji was there! I didn’t expect him to come because he told me he didn’t want to cry. 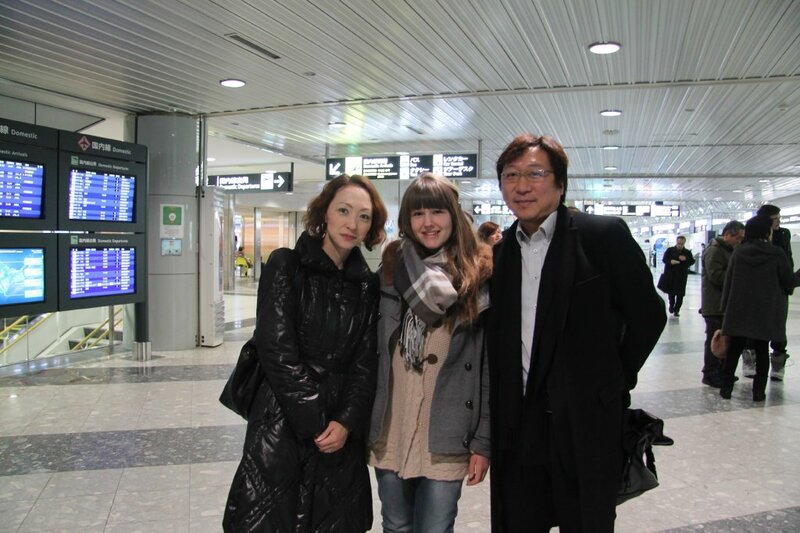 My Japanese teacher, Yamazaki-sensei, also came. And after a while Honda-san arrived as well. They always come to see exchange student off, which is very nice! They always supported me and I’m very grateful. We talked a bit and made some pictures. The atmosphere was not so sad. Everything went very fast. Kanji gave me a very nice present, it was a photo album with memories of the last month. And a sweet letter. 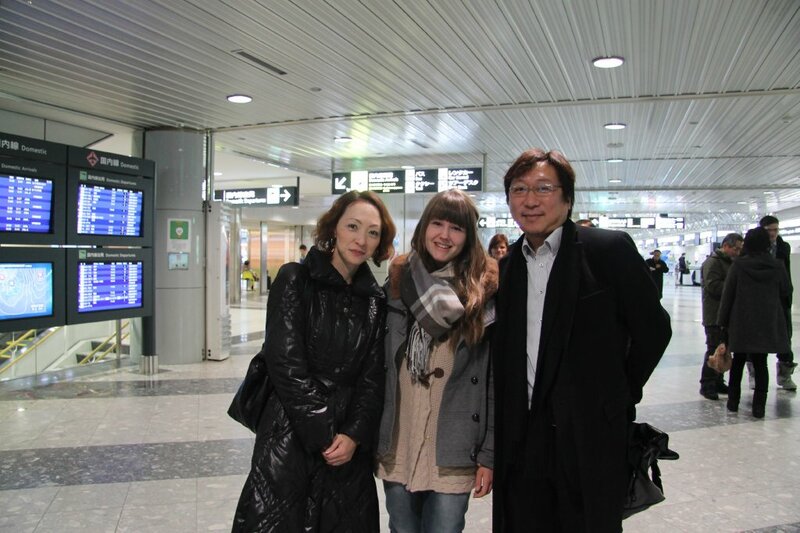 When we really had to go, Noriko, my host mother/friend was crying a bit, which made my eyes teary as well. And when I gave Kanji the last hug I was a bit emotional. We still had 15 minutes left to board the flight. I sat next to Noah and Tyler. Emma, Erika and Eden were in front of us. Museon was somewhere else, but later on he could sit close to us. Everything went to fast and we arrived in Tokyo. Some people, like me and Erika, were staying at a host family and some were staying at a school or something. It was a bit weird because we left our loved-ones and then had to start all over again with a new family for three days. Expecting her to be back home in the near future! He was such a great host dad! 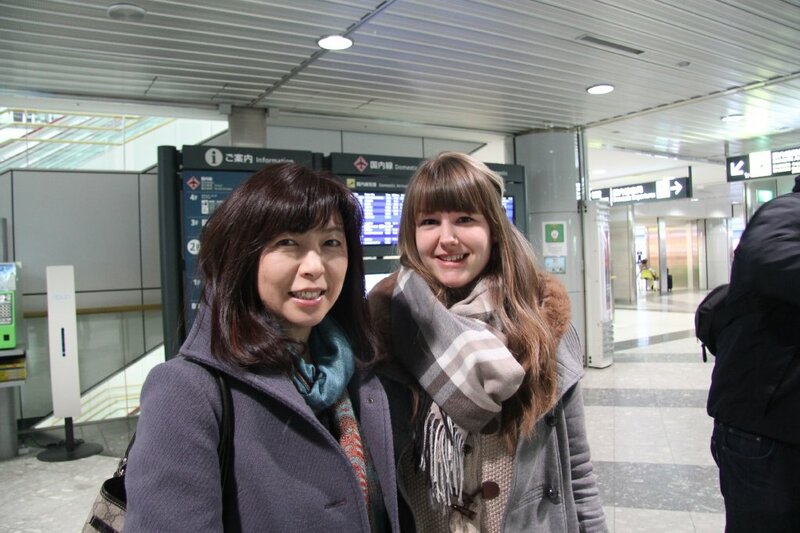 My host mom/friend Noriko was also super sweet for me. I’m very thankful I could stay with them till the end even though it was tough sometimes. I made a lot of memories with them and I am sure I will see them again soon! I’m looking forward to see Keito grow!